This fine custom home is well located at 4324 Periwinkle Pl off No. 6 green of the Carolina Colours golf course, with a full-length fairway view. Built-in bookcases (with space for large TV) adjacent to the living-room fireplace create a comfortable gathering and entertaining space. 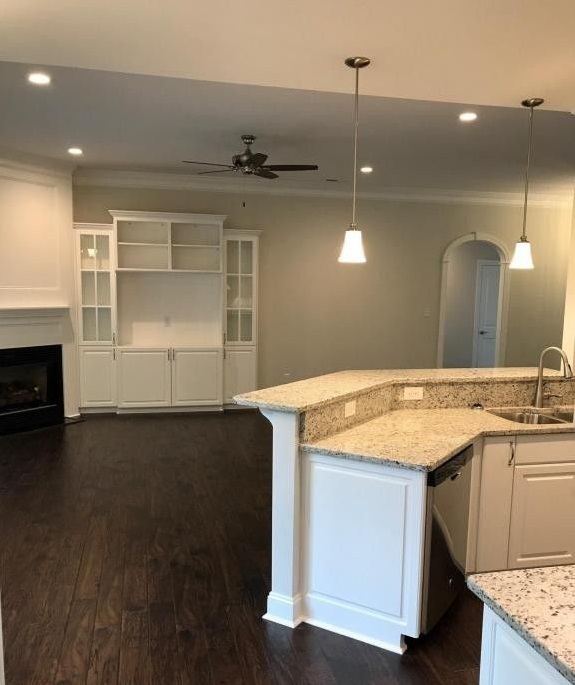 Send me more about this home in Carolina Colours! Carolina Colours is an active, tradition-minded community, within the historical waterfront city of New Bern, NC, the State’s first capitol. Offering both natural beauty and cultural stimulation and featuring a championship golf course, Carolina Colours’s daily life is influenced by time-honored qualities of traditional living with outdoor activity a priority for residents and their families. Sidewalks and paths connect residential neighborhoods with Brice Creek, Carolina Lake and the Towne Lawn & Park. The Activity Campus features the Pavilion (community clubhouse), the golf course and a planned complex containing the pro shop, fitness center, tennis center and pool. Send me more about this home in Carolina Colours! The Carolina Colours golf course, completed in 2010, measures 7,100-plus yards from the back tees, about 5,000 yards from the front and plays to a par 72. Designed by Bill Love, past President of the American Society of Golf Course Architects and Chairman of its Environmental Committee, the golf course responsibly preserves the intimate relationship between course, land, waterways and wildlife habitats. Send me more about this home in Carolina Colours! All homesites cover more than half an acre, with most between .6 and .74 acres. Homesite prices range from the $50,000s to $159,500. Also, approved builders have purchased lots and are selling a constructed home and lot to qualified buyers. 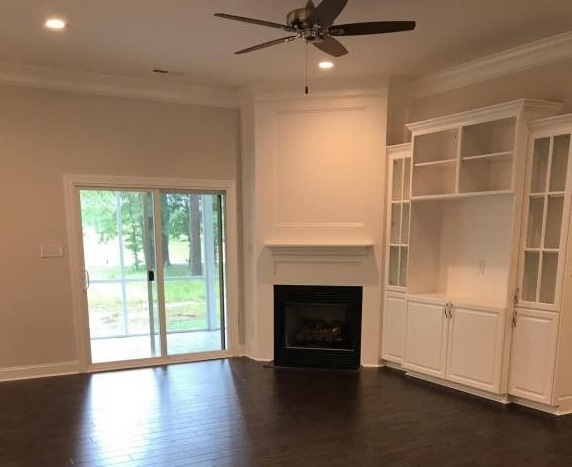 Send me more about this home in Carolina Colours!